hey, everyone! hit up Sally's today, got some of the new China Glaze Hunger Games collection... the polishes are beautiful... but the books/movie are definitely not my cuppa :) those swatchies will be coming up next week! 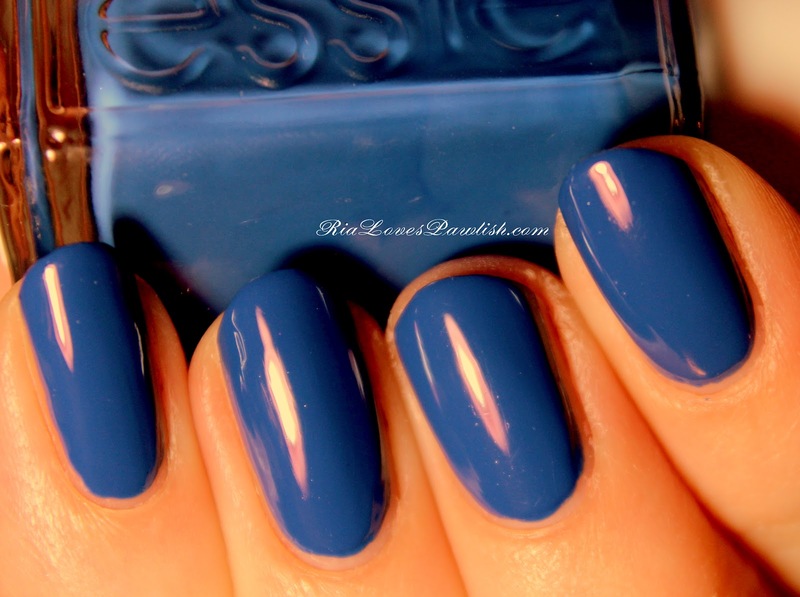 today we have Essie Mesmerize, a dusty blue cream. i was a little shocked by the formula, Essie is usually so consistent! this one took three coats because at the second there was still patchiness. boo! it is a lovely blue, but it's a little darker and a little less royal blue than this swatchie appears. one coat Seche Base, three coats Mesmerize, one coat Seche Vite.